I help my clients structure and launch their own podcast with my Podcasting Made Simple Production and Launch Program. In a nutshell, they record conversations and I edit, produce and publish their episodes. However, for people that are comfortable doing this without any help, I have secured a promo code from Libsyn. There are many free hosting platforms such as Anchor. But the downside is that you will have very little control and are playing by their rules that can be changed at any moment. If you have a long term vision for your podcast and want to be in control of your own episode length, number of episodes and decide whether ads are appended to your episodes, Libsyn is a much more sensible option. Libsyn is used by podcasts of all sizes and makes it incredibly easy to publish every episode to Apple Podcasts, Spotify, TuneInRadio, Stitcher, YouTube etc by just clicking publish. 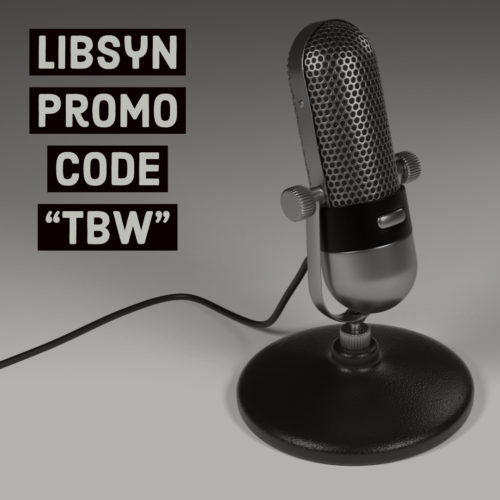 If you are thinking of using Libsyn as your podcast host, Use the promo code TBW when signing up. The code will give you the rest of the current month and the entire next month for free. If you find the prospect of editing and launching your own podcast to be too time-consuming or technically daunting, you can find out more information about my Podcasting Made Simple Launch Program by clicking here. Feel free to contact me directly if you have any questions or just need a little advice. Here are just a few people I have helped to successfully launch their own podcast without having to worry about editing audio files and setting up RSS Feeds. Launching your own podcast can be as easy as recording a conversation and leaving me to worry about everything else.